"We few, we happy few, we band of brothers." Henry V.
On reading the Battalion contributions to the Journals, it is very apparent that the blend of the two regiments of Surrey in 1959 had produced a very happy 'band of brothers'! The men were a lively lot, hard working, fun loving and ready to debunk those that needed debunking! We pick up their story in 1962 at the end of their tour in Aden. 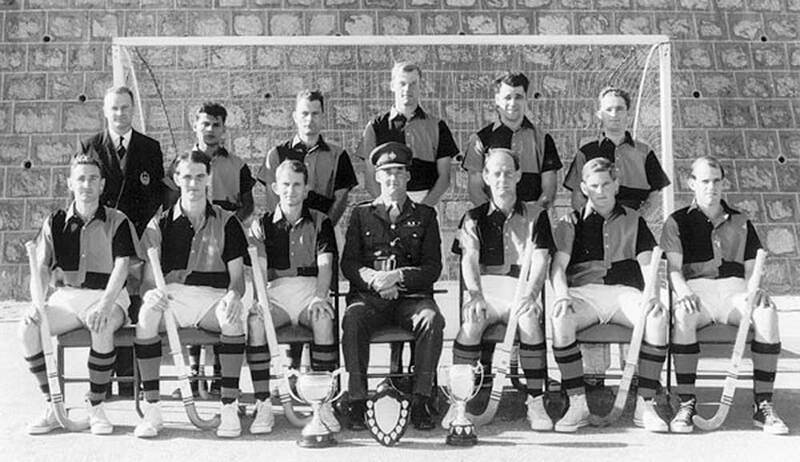 On 19th February 1962 the Battalion embarked in HMT Oxfordshire for Hong Kong. It was to be the last time that the Battalion would travel together, and by sea. The Oxfordshire was a different kettle of fish from any troopships in which our former battalions sailed the oceans before the 1939-45 War. For one thing, slinging a hammock was a thing of the past as there were bunks for all. Colour Sergeant Riley remembers his delight at being allotted a cabin so that he could travel with his wife. CSM Jennings remembers the 2nd class restaurant with waiter service and memorable curries every night. There was a saying in the Sergeants' Mess "Promotion to the Peerage has its advantages"! The voyage was a welcome routine change from normal duties, but the troopship's permanent staff proved to be experts at finding jobs for a great number of men each day of the voyage. The ship had a large foredeck which was ideal for cricket and deck games in the afternoons. Shooting at balloons off the stern was popular, Captain's rounds in the morning and boat stations interspersed with route marches did not leave that amount of time for idleness! Leaning over the rails, watching the dolphins and the spray, chatting to one's friends, was a pleasant pastime. As the ship steamed calmly across the Indian Ocean, the Band under Bandmaster Snowden was kept very busy. "I'd love to get you on a slow boat to China, all to myself alone...." As always the Band played for concerts and singsongs, as well as for dancing on the deck •possibly by moonlight! 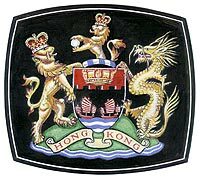 While at sea instruction was given about the background of Hong Kong, and the New Territories attached to the Crown Colony. 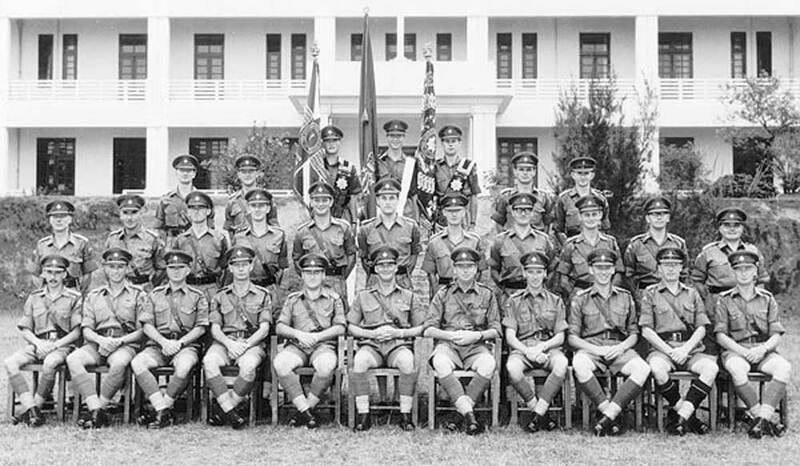 In 1962 one British Battalion was resident in Hong Kong and had an internal security role in support of the police with a secondary role in support of the 48th Gurkha Brigade. 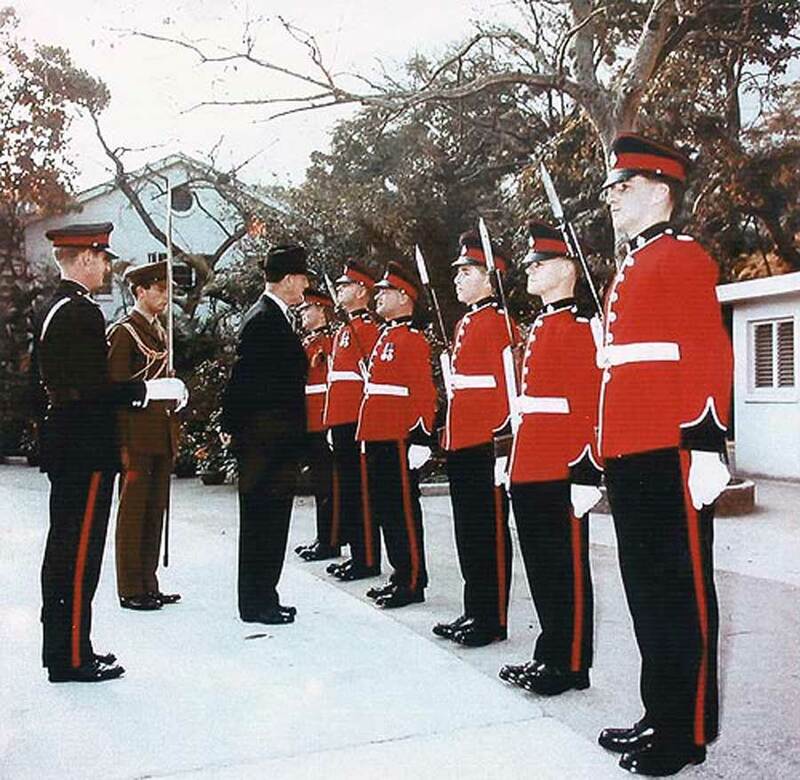 In addition a Royal Artillery Regiment was stationed in the Gun Club Barracks, Kowloon. The British Infantry Battalion was accommodated in Stanley Fort at the south end of Hong Kong Island with a company outstation at Lyemun, overlooking Hong Kong harbour. The journey was broken at Colombo and Singapore where the Provost Sergeant remembers that some latecomers nearly missed the ship and spent the rest of the voyage in the clink. The ship overstayed in Singapore to pick up 2nd/6th Gurkhas. After leaving the port the ship ran into choppy seas and the Gurkhas were not seen until the ship arrived at the Kowloon Jetty on 5th March 1962. It was a warm and sunny day as the ship put into Kowloon jetty, there was a problem of dress, it was winter according to the calendar, so battle dress was ordered by the Adjutant. The temperature reached the nineties with 100% humidity, and which was no mean achievement even for the Aden hands. Next day the order was received for the Battalion to adopt O G (olive green). Within 24 hours the temperature dropped to 55 degrees and the Stanley Peninsula gave a good imitation of Dartmoor in winter. A compromise was now reached and O G with pullovers became the accepted dress. Major J B C Palmer, MC., and the Advance Party had arranged accommodation for the families in temporary quarters as the Royal Northumberland Fusiliers would be returning to the UK in the Oxfordshire. It was not long before everyone was happily settled. The Battalion, less C Company, proceeded to Stanley Fort. The Barracks built in the 1930s, were amongst the best in the world, with an all-round view of the coastline. Beautiful trees and shrubs were planted round the buildings. C Company went to Lyemun Barracks which were good and the Company shared them with the Command Pay Office, the Hong Kong Chinese Training Unit and other small units. This suited the men well as they were nearer the fleshpots of Wanchai and of course further way from the management. The companies changed round every six months. No sooner had the Battalion unpacked than they learnt that they had been selected to play the leading part in the Queen's Birthday Parade on 12th April, that is the firing of the Feu-de-Joie. This entailed much practise. 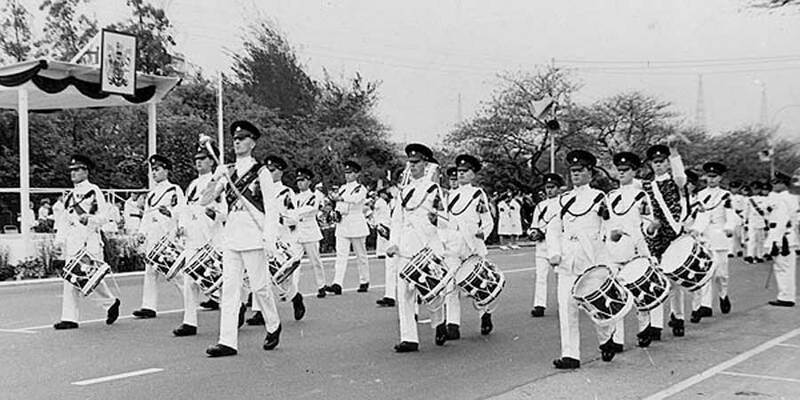 The parade was held on a road in Kowloon and so as not to interfere with traffic the rehearsals were held at first light with breakfast at 03.30 hours for all men on parade. The dress was white No 3 with service dress caps. The occasion went well and much praise was received by the Commanding Officer, Lt Col M A Lowry, MC., from the Governor of Hong Kong and the C-in-C British Forces Hong Kong and many other people. The next ceremonial occasion took place on 2nd May when the Band and Drums Beat Retreat on the Square at Stanley Fort. The Officers' Mess was situated up a hill at Stanley and one drove steadily round and up the hill until one could go no further. Then at the top was the Mess with perhaps one of the best views of Hong Kong. Many VIPs had been invited to a cocktail party after the ceremony to meet the Commanding Officer, the officers and their wives. The occasion was marked with pleasant music from the Band. It was a memorable party with good hospitality and a marvellous view. On 9th May fifty Hong Kong Chinese other ranks joined the Battalion. Chinese had joined the British Army before but possibly this was the first time they had been integrated to such an extent in the companies. Some were riflemen and carried out duties as an ordinary soldier. They arrived just at the right time as the National Servicemen returned to the UK at the end of May. The Battalion was sorry to see them go. They had given cheerful and willing service during their stay. The Battalion did however appreciate the greater stability of being almost a Regular battalion. The Commanding Officer sent a message to OC A Company informing him he held the last National Serviceman to leave the Battalion and should the occasion not be marked with an appropriate farewell. Major D R Bishop, being a wise officer, sent for his Company Sergeant Major, CSM Wilson. He put the point to him and had a prompt reply in 'CSM language' which being translated was "Course you know why he's the last to leave. He's had to make up so much time spent in the nick". There was no farewell gesture, except a few well chosen words from the CSM. During May and June Battalion Headquarters with A and B Companies came under command of 48 Gurkha Brigade in an operation known as 'Operation Seal'. The Communist Chinese authorities at that time allowed refugees to flood into the New Territories land and sea; presumably to destabilize the Colony. After collection refugees were returned across the border. The troops were called out for Internal Security duties to aid the Royal Hong Kong Police. Intensive patrolling and guarding VIP positions took place along the frontier. It was an arduous task but at least it was doing something out of the ordinary run of training. The companies were issued with radio sets, one to each section, so the Platoon Commanders were able to keep in touch by remote control. We are told that CSM Wilson and C/Sgt Riley did not need these modern inventions to keep in touch as they could clearly be heard over the length of the frontier and beyond! Two officers and 10 ratings from HMS Ark Royal were attached to A Company at their own request, during the operation, which was much appreciated, although some soldiers thought they were balmy to inflict so much discomfort on themselves. The haversack rations that C/Sgt Riley had brought out for the company had hardly been touched by the men, so he performed miracles in feeding the refugees that passed through the company compound. Three days later and several hundred refugees later he was still handing out rations ably assisted by L/Cpl Amos and Pte Lowden. The food was slightly tired by then, being well past its 'sell by date' but it was all eaten with every sign of pleasure. 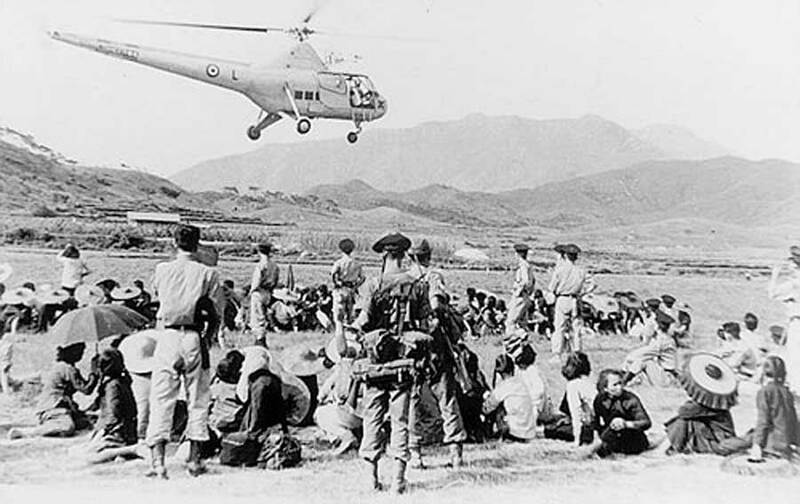 B Company had some casualties among the refugees and a helicopter was summoned to evacuate some of the sick who were in bad shape - it landed on the edge of a paddy field for the evacuation. Pack mules with their Chinese muleteers arrived on the scene to assist with the administrative requirements which was a help. Sometimes the animals 'dug their heels in' rather like some of the soldiers! Throughout the operation the Companies were well supported by their charwallahs. When the operation was called off, everyone made their way across country to the Collecting Point, ready to return to base. The Commanding Officer, A Company Commander and their signaller, L/Cpl Larthe de Langladure carrying his A41 set on his back, plunged down a hillside and passing through thick jungle and waterfalls at the foot of the hill arrived on a piece of terraced land occupied by three tethered water buffalo. The animals were so startled they ripped themselves free and charged at the party. The two officers made their escape, but the poor signaller, carrying his heavy load received a full charge, but on his A41 set, which acted as a buffer. Meanwhile C Company remained on the island carrying out training, and guard duties. Lieut P Gray took the Support Platoon up to the Frontier in July to man Observation Posts, but it was rather boring as nothing happened; an interesting experience nevertheless. In May an Honour Guard was provided for The United Nations Headquarters in Korea and Lieut D Hutt, Sgt Anderson and thirteen men joined men of the United States 8th Army to form the Guard. They returned to the Battalion in July with a reputation for smartness and not noticeably Americanized. Also in July RSM P Collman, MBE., handed over to RSM P Floyd, who had been serving with The Queen's Own Buffs. Mr Collman returned to the UK for commissioning on posting to the Federal Army in Aden. The Glorious First of June was celebrated in the Sergeants' Mess with a cocktail party and the members and their guests overflowed out on the lawn. Some dancing got under way, the 'Twist' being a favourite at that time and even got some of those propping up the bar out on to the floor! On 1st September 1962 typhoon Wanda struck the island. It was nature in the raw. The men and their families suffered no injuries. There was structural damage in the barracks and many trees were blown down. It was the worst storm the Island had experienced for some years. Directly it had passed the Battalion deployed men to help the civilian population. There was some loss of life and much damage to property and to ships in the harbour. The Battalion wives produced clothing for distribution in Stanley village. There was an immediate response from the Battalion to the Governor's plea for his relief fund. C/Sgt Riley remembers Captain Jimmy Kemp the Quartermaster asking him when he had last seen the company dustbins and his reply "Heading out to the China Seas, Sir". 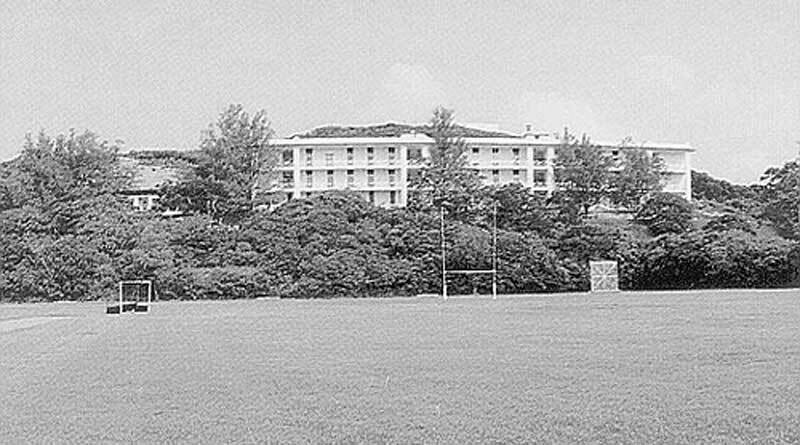 The Training Company under Major J G F Naumann was at Sai Kung Camp in the New Territories at the time of the typhoon. Luckily Cpl Perryman spotted the typhoon warning signal on the mast of Sai Kung Police Station from the top of the hill, or the party would have been caught in the open on the hill, as it was, they made a very quick retreat back to the camp in a very heavy thunder storm. The camp consisting of Nissen huts was battened down. At 4 am things began to happen, but it was not until 8 am that the noise was terrific, debris and trees were blown about with shattering crashes from water towers as they were blown from their supports and several windows caved in. The Company Commander's hut became untenable and kit was packed in double quick time. The CSM on leaving his hut was blown flat on his back. The Nissen huts, lashed down with wire ropes, held. After the storm had passed the scene was pretty awe-inspiring. There were bits of trees everywhere and bent water pipes gushing water in all directions. Worst of all, it was now known from the wireless bulletins that the ferries would not be running until the following day and the troops were short of rations. In the end the Company Commander and the Company Sergeant Major managed to obtain a box of compo rations after a certain amount of argument with the supply depot, who said the Battalion held such things for emergencies! They said -"But the ferries are not running". Back on the Island C Company out at Lyemun had hardly relieved A Company at Stanley when the typhoon struck, so it took the two companies longer to hand over and settle in their new quarters. The Commanding Officer received much appreciation of the way the Battalion had assisted the civilian population and the Stanley 'local council' were very grateful for the way the Battalion had assisted with men, food and clothes. The year 1962 was drawing to a close. The Junior Ranks Club ran a dance when the anticipation as to whether the invited girls would arrive wearing cheong-sams was much discussed. The really big event was the mammoth all-star pantomime "Sid, George and the Dragon". The whole enterprise was a great success and five performances were given, each time to a full house - much to the gratification of the producer and the cast. The Christmas party for the Regimental children and Chinese child guests from Stanley village was so big that it took Father Christmas and his "Chinese Warlords" one and a half hours to give out the presents. In December the Battalion said farewell to Bandmaster W Snowden, who had guided the musical activities so ably for the last nine years. He had been granted a Quartermaster's Commission in the Regiment. The new Bandmaster was WOI F Short, who had been serving with The Royal Leicestershire Regiment. Both he and his wife were made welcome. Under his direction the band excelled itself by becoming the pit orchestra for "The Gondoliers" staged by the Hong Kong Light Operatic Society. The band having no string section, the score had to be re arranged with the string parts transcribed for the clarinet players, The musicians enjoyed it as it was such a change from their routine tasks. 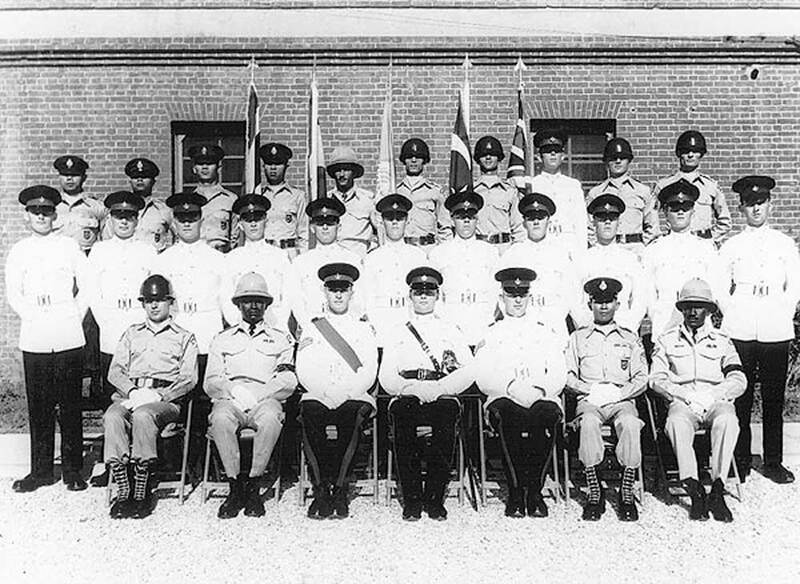 In January 1963 a further detachment of 14 soldiers was sent to Korea for the Honour Guard under Lieut C C Reeves. They would return to the Battalion in May. The duties at Panmunjon were purely ceremonial. United States Army drill was carried out with No 4 rifles instead of the S L R. The main training period was in the early winter months of 1963. Exercises followed each other in profusion, either with or against the Gurkhas. Then the Administrative Inspection loomed ahead. A Company went out in the New Territories again to check illegal immigrants. There was another 'stand-by' for a typhoon, this time luckily it missed the Colony. Guards were required at Government House, Flagstaff House and at HQ Land Forces. A consignment of scarlet uniforms had arrived from Ordnance, possibly left over from before the 1914-18 War. The Band were suitably attired and wore their blue forage caps. The Commanding Officer, after consultation with the powers that-be, had the sentries at Government House dressed in scarlet. This was much appreciated by everyone who saw them and was mentioned in the local press. Photographs eventually appeared in 'Soldier' magazine and as a result the War Office informed the Commanding Officer of its displeasure.